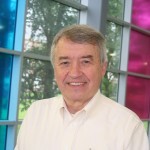 Dan Hughes, a Clinical Psychologist, created Dyadic Developmental Psychotherapy (DDP) as a treatment for families with adopted or fostered children who had experienced neglect and abuse in their birth families and suffered from significant developmental trauma. Troubled children may have had many changes in the people who look after them and find it hard to trust adults. 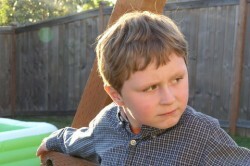 They may believe that parents aren’t safe and can’t always be turned to for comfort and help. They may develop insecure attachments and try to stop their new parents from becoming emotionally close to them. The therapy helps the children learn to trust. It is family-based and involves the child with his or her caregivers. Dan realised the vital role that adoptive parents, foster parents, relatives, and residential workers play as attachment figures for children who have experienced trauma and loss early in life and who have good reasons for finding it hard to trust adults. He found that ordinary parenting often failed to help the children and so developed his therapeutic model to encompass a new way of day to day parenting based on the principles of PACE. All professionals supporting children and families need a model that brings together knowledge about developmental trauma, attachment, interpersonal neurobiology and child development. 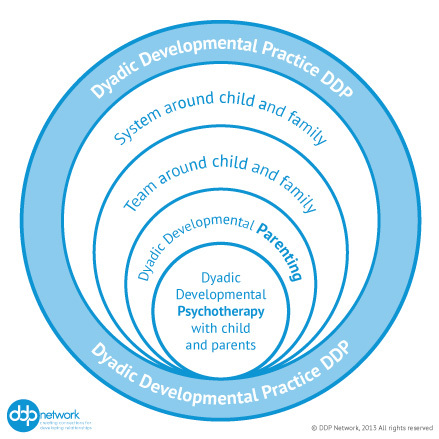 Dyadic Developmental Practice is an all encompassing approach that includes parenting and caring for children as well as the therapy. It helps the professionals understand, work together with and be effective in their support of children and their families. Central within DDP is PACE, a way of thinking which deepens the emotional connections in our relationship with others. Playfulness brings enjoyment to the relationship. Acceptance creates psychological safety. When we curiously explore within a relationship we express a desire to know the other more deeply. Empathy communicates our curiosity and acceptance, as we recognize and respond to the other’s emotional experience. Dyadic Developmental Psychotherapy (DDP) is an effective form of treatment for children who have experienced significant Developmental Trauma. A large empirical outcome study across three countries is currently in process, and will be submitted to peer-reviewed journals following outcome data processing.